I wanted to bring to the market a Great Value for the Musician and Pianist. This 1960 has a lot of power. This Steinway has a lot of years let in it. The case is rough, but at this price you are buying a Great Steinway. At the listed Price I will have my Master Technicians bring this piano to a Level 2, about 22 hours of service. 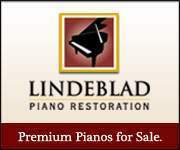 Or I can discount the piano if you have a Technician that you would like to use. Hammers have a lot of felt left on them. Near Perfect Soundboard. At some point you would replace the Strings but the Block is perfect so you could use the same block to restring the piano. Hammers should last about 15,000 hours of regular (not heavy) play. If a dealer rebuilt this piano they would sell it for $55 to 65. The Steinway Dealer in our area is selling a Rebuilt 1968 for $88,500 and then discounts it to 68,700. REALLY ?? For the listed price you will agree that this is a great value. I usually have 19 to 25 Steinway B's available. I know I have one for you. Reach out to me on this one or any of the others I have. This piano is being offered as an Original Condition Steinway 1960 Model. You can rebuild to any level and you can refinish. 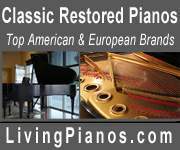 Steinway Dealer has same piano at Steinway Showroom rebuilt for $82,500. So much you can do with this piano. That is why we have kept the price low.